The 4th Autonomous Driving Conference will be held!! Guideline for applicants The objective of the competition is to develop software that can run on VR-Cloud® using UC-win/Road SDK (Software Development Kit) and VR-Cloud® SDK. This software could be: all-purpose software, application programs, engineering software, business software or game software. Only unpublished works are acceptable. Travelling and accommodation fee are provided for the selected teams for nominated works. Up to 3 members from the area other than Kanto area and 2 members from overseas in each team are scheduled to be invited. 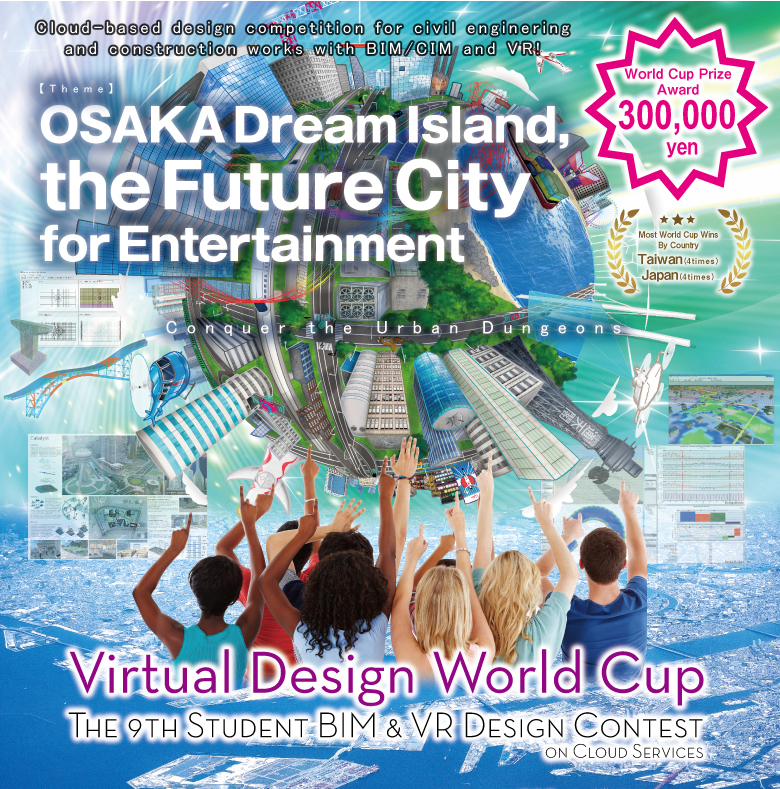 "OSAKA Dream Island, the Future City for Entertainment"
This is an international design competition for students to compete amongst each other in designing an innovative architecture, bridge and city design using BIM/CIM &VR technologies. Every year students compete for the top prize which is given to an outstanding work outlining a predefined theme in the aspect of design, innovative idea, and creativity. They plan and design their work based on the theme and then run a simulation. Their final model will be presented to the judges in a form of a script for evaluation. To assist students with the production of their work, we plan to carry out workshops and seminars. We will also support the students who will make use of software from now on. Also you can communicate and collect a lot of information without having to visit the local area by participating various workshop reviews through the Web and VR forum ( 3D cloud BBS ). The script of VR data created by FORUM8's software and a "Concept poster" (A1 size (lateral) in PDF format) are required for the final submission and the judgment is performed on the basis of "VR Cloud judgment". 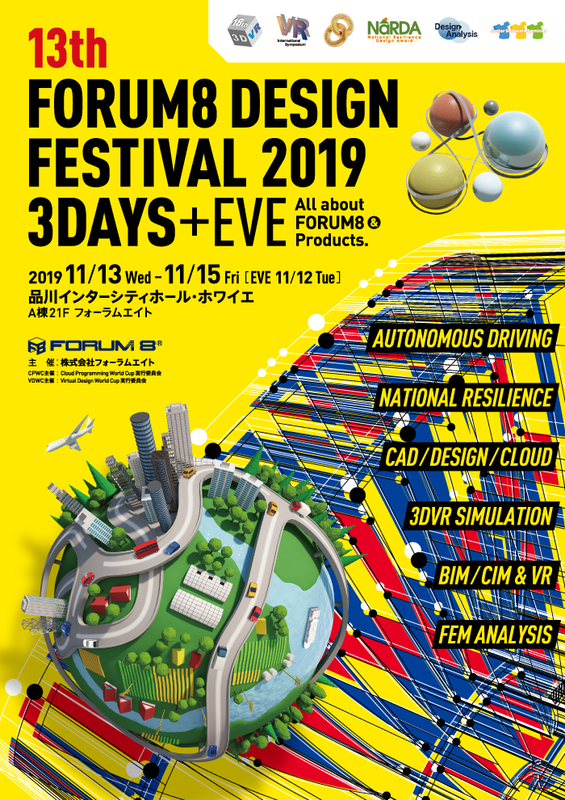 We would like you to use FORUM8's BIM software and VR technologies by all means and consider this competition as an opportunity to create your masterpiece. We encourage students from different departments majoring in different field of studies to make a team to work on their model together to demonstrate that BIM/CIM can be used in various discipline. Travelling and accommodation fee are provided for the selected teams for nominated works. Up to 3 members from the area other than Kanto area and 2 member from overseas in each team are scheduled to be invited.